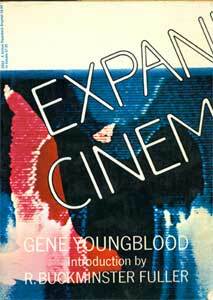 Gene Youngblood "Expanded Cinema" (1970) [PDF, 4.6 mb]. The computer does not make man obsolete. It makes him fail-safe. how to live all over again. Submitted by dymond on Fri, 2006-10-27 05:44. > than to live on your knees." > back when it was really *New* media. and at issue here is the fact that most of the discussion re. 8 bit hacktivism or hack is assigned to be retro reinterpretation. As Norman's site makes obvious, the parameters and *New* were very different then than what is now percieved as new media. The hacks take commercial grade software from the 80's and try to emulate the minimal restrictions of the media. On the other hand, non-commercial works, art works (with a lower case a) were exploring a very different environment and were advanced and engaging. The 8 bitters (my new connotaion for the movement) are trying to understand the populist manifestation of digital art. While the commercial exploration was going on, many artists were going way beyond the minimalist attributes of commercial digital interaction, which should really be called primitive, not minimal. Using the word minimal creates a false perception of what was in the air. It was really just primitive, and thats a very different field of exploration. If Cory Arcangel's works are described as a return to primitivism, and attempt to understand the origins of the comnmercial sector, then I think thats a worthwhile cause, one we are still trying to come to term sith. But when it's called Minimal, my back arches. Minimalist work is very sophisticated, and at the end of a long dicourse in modern art of the last century. Minimal works require theses and dialogue, primitive works on the other hand are studied as artifacts.